News > Monkey Business 5.01.00 Release - upgrade today! Monkey Business 5.01.00 Release - upgrade today! Greenwich, CT — Saturday, May 12 2018 — Monkey Business Agency is pleased to release Monkey Business 5.01.00. Unified fonts.css file: provides consistent, reliable maintenance of custom fonts and typefaces for content design. System wide support now, allows perfect custom typography online, and in email. 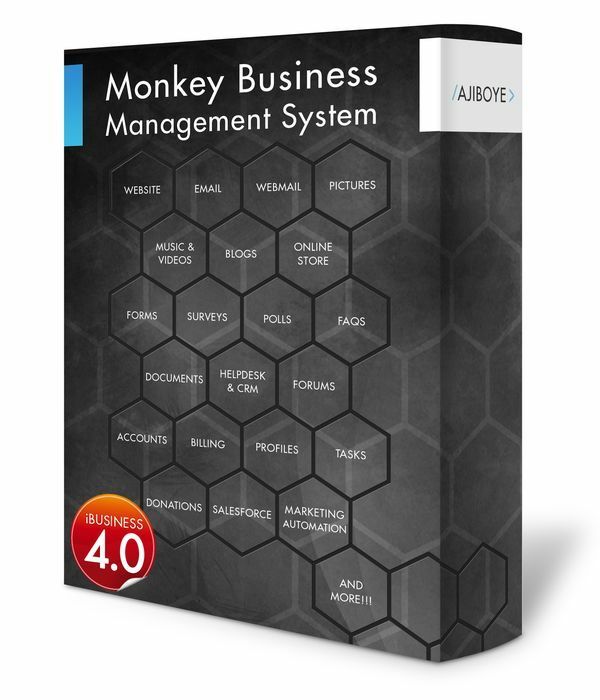 New system fully supported by the Monkey Business Editor, allowing for fast content design applications, the Monkey Business Style Wizard for easy Custom Theme integration and Monkey Business Theme Packager speeding up the design workflow for production of Monkey Business MarketplaceThemes. Channel-aware Content Marketing: Delivers centralized management of channel specific media assets in the expanded Articles Manager, and delivery of high quality, standards based assets to each channel via the content streaming APIs. Currently supports Blog, Website, Facebook, Twitter, and Email. Monkey Business Themes: Support for the new unified fonts repository. Stability & performance improvements: Implemented numerous stability improvements to new features in the last required major release, including new Quick Style Wizard, Monkey Business Editor and Mobile Responsive Theming. Stability & performance improvements: Improved support for secure HTTPS protocol in linking assets.